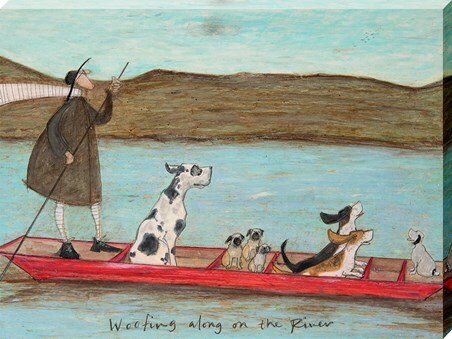 The amazing British artist Sam Toft once again brings us an amazing canvas print, this time featuring some spotted friends. In this beautiful picture you can see lovable character Ernest Mustard as he pushes a stroller which Doris the dog sits happily in. With a trail of spotted dalmatians following at the back, this casual walk by the beach huts looks a bit of a handful. 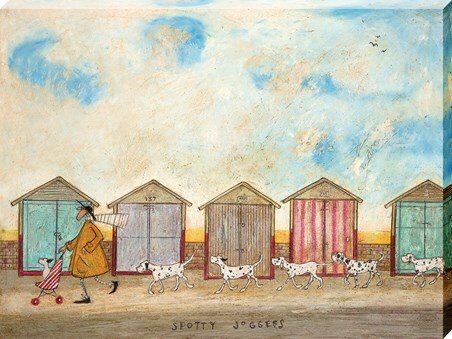 Sealed with the fitting caption "Spotty Joggers", this charming print will look great hung anywhere. 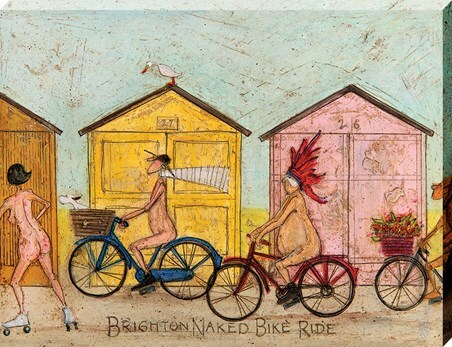 High quality, framed Spotty Joggers, Sam Toft canvas print with a bespoke frame by our custom framing service.